MondoWindow, the interactive grandchild of Window Seat, is now in beta. Check it out! 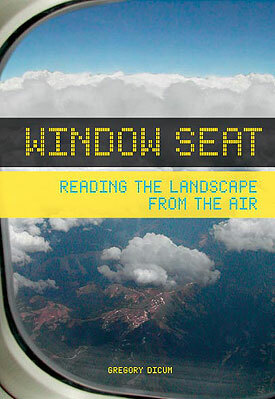 When Window Seat was published in 2004, it created a whole new category of travel book. An editors' pick for Amazon.com's top five travel books of the year, Window Seat explores the North American continent from above, detailing the sights of the United States and Canada for the intrepid window gazer. It's the perfect addition to anyone's carryon bag! A terrific book for kids, frequent flyers, and armchair travelers alike, Window Seat is packed with curious facts and colorful illustration, proving that flying doesn't have to be a snooze. When you can "read" the landscape from above, a whole world unfolds at your feet. 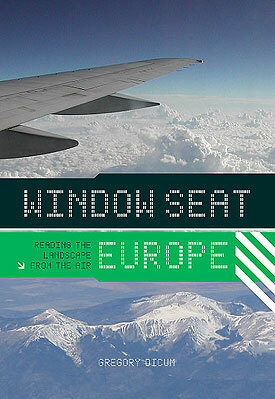 Window Seat Europe decodes the sights to be seen on any flight across Europe. Broken down by region, this handy little softcover book features almost 70 satellite images; a fold-out map of Europe showing major flight paths; profiles of each region covering its landforms, waterways, and cities; tips on spotting major and not-so-major sights; and straightforward, friendly text on cloud shapes, weather patterns, the continent's history, and more. © 2019 Gregory Dicum and Chronicle Books. All Rights Reserved.